I feel like The Avengers has been all over this blog today -- not that I'm complaining! Right now I just want to give you a heads-up that tomorrow night's red-carpet action from the Avengers premiere will be streamed live. To check it out, head to Livestream, Marvel.com or YouTube at 9 p.m. ET. Scheduled to appear at the big Hollywood event areRobert Downey Jr., Chris Evans, Mark Ruffalo, Chris Hemsworth, Scarlett Johansson, Jeremy Renner, Cobie Smulders, Joss Whedon and many other cool folks. Chris Hemsworth: "I looked like child in costumes"
Chris Hemsworth looked like "Tom Hanks at the end of Big" when he tried on his The Avengers outfits after losing so much weight.The actor played the title role in the Marvel Studios film Thor last year. He bulked up for the role of the superhero, but later had to slim down for his most recent role as Eric the Huntsman in upcoming film Snow White and the Huntsman. Though we are still a month away from the release of The Avengers, the heroes will assemble one more earlier than its actual release date for the world premiere Wednesday, April 11th at the El Capitan Theatre in Hollywood. Heat Vision reports that the red carpet will feature the following cast members before attending the 7:00 pm screening: Robert Downey Jr., Chris Evans, Mark Ruffalo, Chris Hemsworth, Scarlett Johansson, Jeremy Renner, Tom Hiddleston, Cobie Smulders, Stellan Skarsgård and Samuel L. Jackson. Marvel Studios has a new poster for The Avengers out this morning, joining the seven-member superhero team in a bit of comic book chaos on the streets of New York. 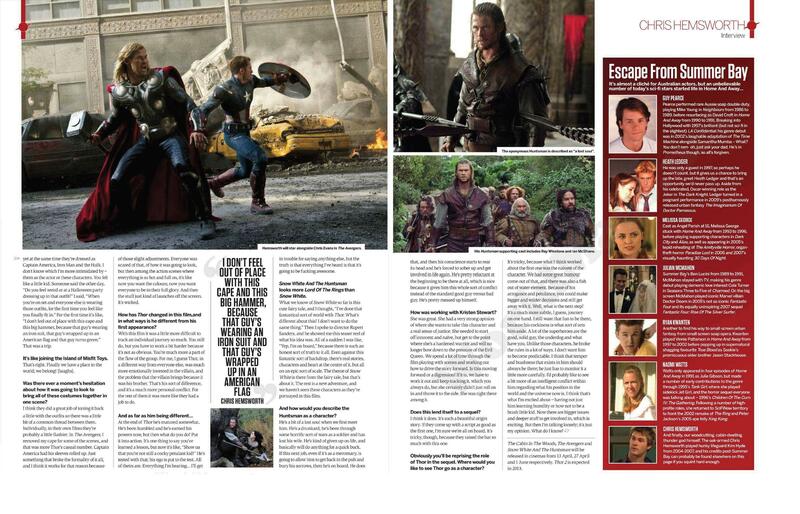 Along with the full image, EW has exclusive interviews about what the Joss Whedon written-and-directed film does with this crew of iconic characters. Tomorrow, a new trailer for the film — out May 4 — will debut online. The point of last spring’s movie about this god-like being from the celestial realm of Asgard was that an arrogant but powerful man had to learn humility to become a true hero. Thor doesn’t need to be told twice, says Chris Hemsworth. 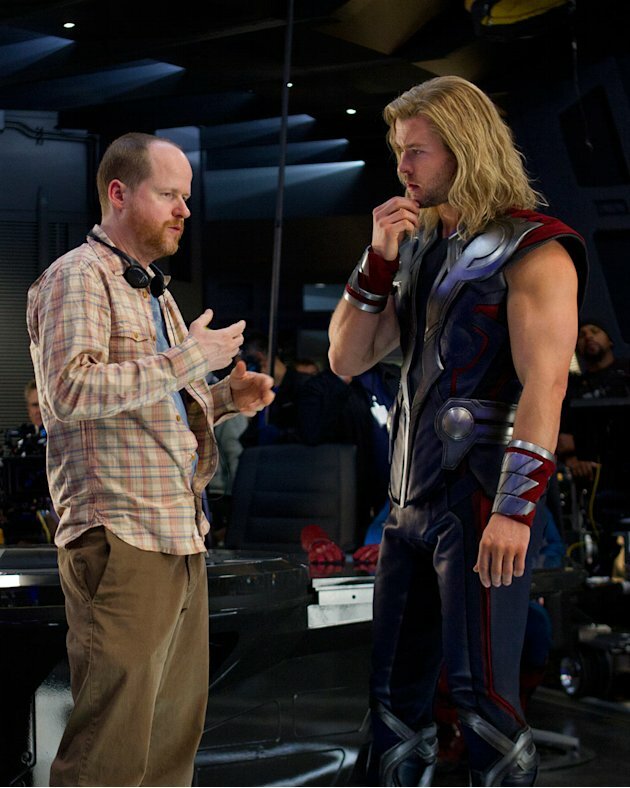 In The Avengers, he returns as someone with a greater sense of responsibility for the world – or worlds – he inhabits. “There’s a maturity to the character because of the journey he went on, certainly. He was a petulant sort of kid at the beginning of Thor, and by the end of it hopefully you walk away thinking that he is matured and there was a grounded quality to him that wasn’t there before,” Hemsworth says. SWATH, The Avengers, & Prometheus nominated in New Now Next Awards! Logo’s NewNowNext Awardsdon’t air until April 9 on the cable network, but EW has exclusively learned the roster of nominees for the fifth annual event, which showcases who and what are on the verge of a pop culture explosion in 2012. Nominees range from Revenge‘s Emily VanCamp and Parenthood‘s Michael B. Jordan in the Next Mega Star category to Jessie J and FUN. in the Brink-of-Fame: Music Artist category to Magic Mike and Snow White & The Huntsman in the Next Must-See Movie category.